•	You need to be trained. In order to provide support in the event of an emergency—or even in a non-emergency situation—you need to have the proper training and licensing. 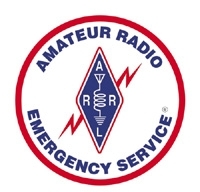 Learn more about the ARRL Emergency Communications Training course. •	You need to be equipped with sustaining skills. What if when you get to a location, there is no food and the sleeping conditions are undesirable? Before you leave on your assignment, you need to make sure you have coping skills that enable you to be able to do your job operating under the conditions you are assigned to—from hardship conditions to making sure you’re able to work the equipment. •	You need to prepare your family for your absence. When you leave home and head for a disaster area, your family has to be both physically and mentally able to cope. After a disaster, when a volunteer comes home, he or she can be confronted by some mental health issues, for which there are several resources. Many volunteers experience everything from fatigue or exhaustion to depression. •	You need to find ways to volunteer. You would first want to become a member of your local ARES, CERT, RACES or local emergency management organization. Then try the American Red Cross or Web sites like Ready.gov. •	You must go through all of the training that your volunteers will take, with the addition of specialized training—volunteer management, recruitment and planning. This specialized training helps set you apart from the volunteers and helps you better lead your team. •	You must talk with other field leadership. Getting best practices from other leaders can be very helpful to you. Whether it’s advice about how to encourage teamwork among your volunteers or it’s learning how to best delegate tasks, other field leaders can be one of your best resources. •	You must be responsible for all equipment and all of your personnel. As the field leader, you are in charge of making sure there are enough supplies to meet the known and expected needs. You’re also responsible for making sure the appropriate equipment makes it to the event. It would be up to you and the mission you have to decide if you need a mobile response unit for your event. •	At the very least, you’ll be asked to just show up. Or, the situation may call for you to bring your hand-held and some batteries as part of your Go Kit. In a disaster situation, where you may be asked to be at a shelter for several days, you might need to bring any and all equipment necessary to put together a base station. There might also be a time when you’re called into the field where you need to help establish communication and there’s no infrastructure—you’d need to have all of the appropriate equipment. What equipment you need to bring to a specific event could come from a variety of sources, from your field leader to the served organization’s team or a government official. •	There may be times when, in addition to your own personal Go Kit, you may need a longer-term Deployment Kit, and/or a mobile response unit. The mobile response units can be anything from a trailer or van to a fully-functioning mobile headquarters—complete with all the technical equipment you might need, including televisions, radios, towers and antennas. Where Will Volunteers be Needed? A longer time commitment--several weeks to a few months. Volunteers need to prepare their families for their absences. In addition to personal Go Kits, volunteers may also need to bring their long-term Deployment Kits. •	A local ARES group may sign a Memorandum of Understanding with a local government agency or the MOU may be between an ARRL section to the state government. This document, signed by both you and the government organization, clearly and specifically lays out the framework of your working relationship with one another. An MOU is not required of a local ARES group to complete their mission. •	An agreement with a local government organization doesn’t have to be a formal affair. Rather, it is an agreement between the volunteers and the government organization about what type of work is needed. •	All levels of government may need to work with you and your organization on their response to an emergency situation. In this case, state government leaders may want to work with the ARRL field leadership to determine the role and mission of the volunteers within an emergency plan. Local ARES groups work with local governments. Section ARES groups work with state or county governments. ARRL works with the federal government. •	There are many non-government affiliated organizations, including: the American Red Cross, the Salvation Army and faith-based organizations. For a list of organizations, visit NVOAD. •	A local ARES group may sign a Memorandum of Understanding with a non- government agency. This document, signed by both you and the non-government agency, clearly and specifically lays out the framework of your working relationship with one another. An MOU is not required of a local ARES group to complete their mission. •	Many non-government organizations are a group that has communication needs that may be met by ham volunteers. Often these needs will mean that volunteers have to bring in communication tools where none exist. •	In an ideal situation, agreements between an emergency communications organizations volunteer and non-government organizations are made as part of the readiness plans. But the majority of the time, the need is created and asked for right in the heat of an emergency situation. •	It is important to remember that when ham volunteers are working with these non-government organizations, the volunteers need to meet the requirements of the organization they’re serving. But they also have to remember to be flexible—the job they were sent to do might not be what’s needed by the time they get there, so come with your best cooperative attitude. Local ARES groups work with local non-government agencies. Section ARES groups work with state non-government agencies. ARRL works with national non-government agencies. Search "ARES" in the ARRL Store for the latest in ARES merchandise.